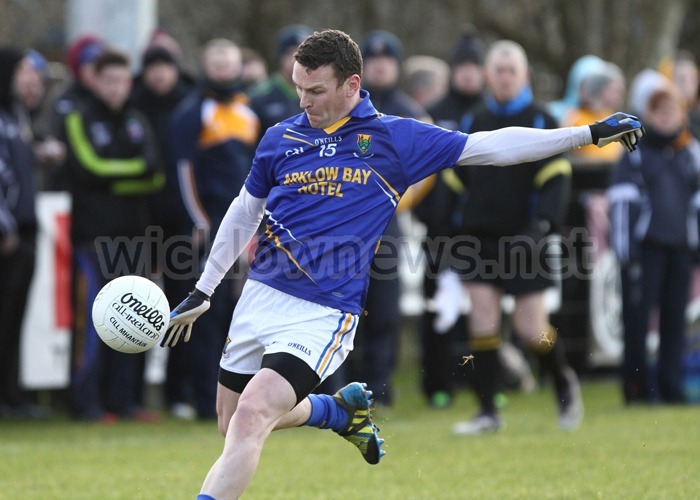 Five goals in two games has moved Wicklow’s Leighton Glynn to the top of the scoring charts in this year’s Allianz National Football League. Glynn bagged a brace in Antrim over the weekend and scored 3-3 against London in Aughrim, putting him two points ahead of Derry’s Darren McCurry who is on 3-8. McCurry is top scorer in Division 1 and Donegal’s Colm McFadden leads the way in Division 2. Sligo’s Adrian Marren heads up Division 3, with Glynn on top in Division 4. Glynn also leads the way in terms of goals scored, with McCurry in second on three. Five players have scored two goals – Paul Whyte (Waterford), Colm McFadden (Donegal), Tiernan Rossiter (Wexford) and Mark Poland (Down). Glynn’s 3-3 against London is also has the highest individual score in a game this season.